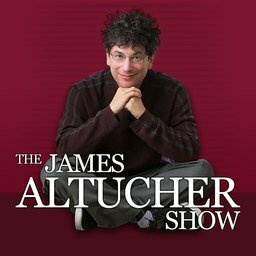 Join James Altucher and Danica Patrick from 1-3PM as they discuss Danica's new endevours & entrepreneurship on The James Altucher Show LIVE Podcast at Stand Up NY! THIS IS WORTH THE LUNCH BREAK! As she broke barriers and set records on the track, Patrick made a name for herself off the track as well. She was named to TIME’s “100 Most Influential People” list, has graced the cover of ESPN: The Magazine, Sports Illustrated and TV Guide and was featured in pictorials in the 2008 and 2009 Sports Illustrated Swimsuit Issue. She has also appeared in a record-setting 14 Super Bowl commercials, 13 of which were for GoDaddy. In November 2017, Patrick announced that she would end her racing career with the “Danica Double” by competing in two marquee events that were cornerstones of her career: the Daytona 500 and the Indianapolis 500. As she closes out this part of her professional life, Patrick’s focus shifts to her next chapter as an entrepreneur and business owner. Patrick has already forged into new career territory. She launched a clothing line – Warrior by Danica Patrick – in 2017, authored the fitness book Pretty Intense and is the sole proprietor of a vineyard in California that produces Somnium Wine. With her time behind the wheel coming to an end, she will focus on turning her “side hustle” efforts into full-time endeavors.